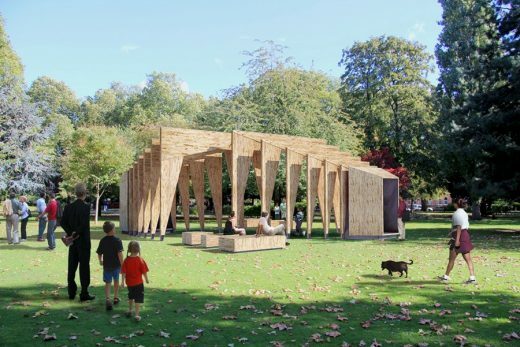 Dream Pavilion is a self-supporting structure measuring 4m in height and approximately 59 m² in area, constructed primarily out of OSB sheet, timber and untreated mild steel. It is the design of a London based architecture practice. IPT Architect working with Ecospace to realise the vision of a shifting form from solidity to transparency as an interpretation of the dream theme. 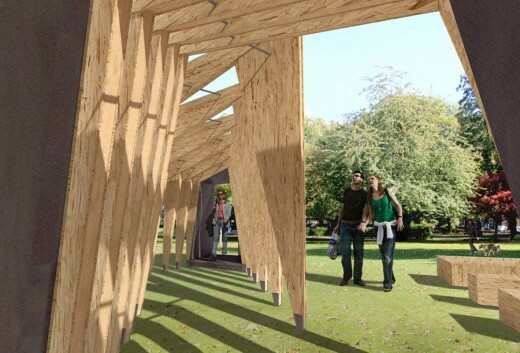 The Pavilion is a showcase structure to spotlight the work of an architect or design team and invites visitors to dream about a unique space, creating a place, achieving an ambition or simply being inspired by a series of thoughts, images and sensations within the unique setting of the Museum gardens. between inside and outside are blurred and visitors can weave through the spaces towards the perimeter seats for further reflection. There can be a fine line between a dream and reality, thus the perception of the pavilion constantly shifts from solidity to transparency depending on the vantage point. 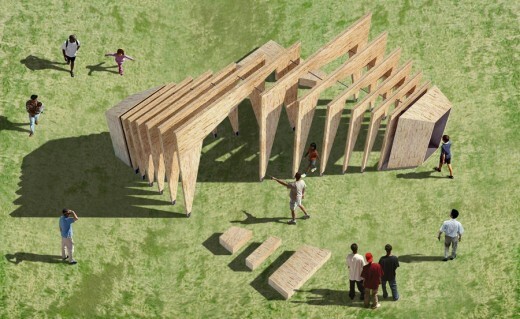 The pavilion structure creates inspiring and ever-changing shadows according to the movement of the sun.